William J. Browning, CELA and Richard F. Meyer, Esq., founding partners, established Browning & Meyer Co., LPA in 1996. Mr. Browning and Mr. Meyer have a combined 55 years of experience in the firm's specialized areas of practice, which include estate planning, elder law, estate administration, probate administration, trust administration, asset preservation, tax planning, guardianships, special needs planning, and Medicaid eligibility planning and litigation. With an office conveniently located in Columbus, Ohio, we have the ability to offer a wide array of legal services to assist you and your family as you move through the stages of life. Welcome to Browning & Meyer Co., LPA William J. Browning, CELA and Richard F. Meyer, Esq., founding partners, established Browning & Meyer Co., LPA in 1996 after many years in practice. We have one office centrally located in Columbus, Ohio. At Browning & Meyer Co., LPA, we offer a wide array of legal services for you and your family as you move through the stages of life. The premier focus of our firm is Estate Planning, Wills and Probate, Elder Law, Estate and Trust Administration, Asset Preservation, Guardianship, Special Needs Planning and Medicaid Eligibility Litigation. Browning & Meyer Co., LPA is well known for their commitment to the community. Mr. Browning and Mr. Meyer are natives of Ohio, having been born and raised in Columbus and Springfield, respectively. They continued their education in their home state attending and graduating college in Ohio, with each subsequently earning a Juris Doctorate from Capital University Law School in Columbus. Through the years, they have continued to support their community and its citizens through active participation in a number of organizations including Knights of Columbus State Council, Knights of Columbus Charity Foundation, Neoacacia Masonic Lodge, Ancient and Accepted Order of Scottish Rite, Aladdin Shrine Temple, Bellevue Hospital Foundation, and the Endowment Fund of the Immaculate Conception Church in Bellevue, Ohio. Nationally Recognized Elder Law Firm Our attorneys are involved on both a local and national level in efforts to bring forth reforms to Medicaid and estate planning policies. Richard F. Meyer, Esq. is a frequent speaker in the estate planning and probate related fields for the National Academy of Elder Law Attorneys, National Business Institute, and the Professional Education Systems Institute. 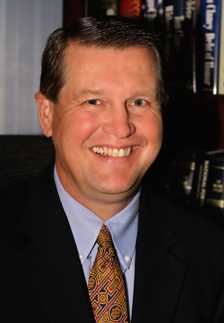 William J. Browning, CELA has authored numerous articles on Elder Law topics including Medicaid planning, long-term care, and planning for the disabled. His respected peers honored Mr. Browning with his election to President of the National Academy of Elder Law Attorneys in 2003. The strength of our firm can be found in our customer relationships. At Browning & Meyer Co., LPA, we believe that it is important to take the time to learn about you, your needs, goals and desires. We know that a comprehensive understanding of our clients' unique situation is paramount in enabling us to custom tailor legal services to better serve you. Mr. Browning and Mr. Meyer have been helping seniors, the disabled, and their families for their entire professional careers. We are proud of the counsel we have provided to our disabled and senior clients through the years. Our assistance has been instrumental in allowing our clients an improved quality of life. The families of these clients also have a heightened understanding of the importance of being better prepared to deal with aging issues, and many of them have asked Browning & Meyer Co., LPA to help them with their own long term planning needs. It is with a coordinated team approach that we are able to offer caring, compassionate, competent, and quality representation, now and as you age. We have a dedicated legal team eager to assist you with any needs you may have. At Browning& Meyer Co., LPA, estate planning is more than simply drafting a Will. William J. Browning is a partner of Browning & Meyer Co., LPA, in Columbus, Ohio. -Guest lecturer for The Ohio State University College of Law and the Capital University Law School. -Martindale-Hubbell Rating of AV, which indicates very high to pre-eminent legal ability and very high ethical standards as established by confidential opinions from members of the Bar. -Ohio Lawyer, Nov. 97; "Trusts and the Young Case, Planning for Disabled Beneficiaries"
-NAELA Quarterly, Spring 95; "Medicaid Treatment of Retirement Plans Revisited"
-Estate Planning Magazine, Nov. 92; "The Impact of Retirement Plans on Medicaid Eligibility"
-Ohio Bar Briefs, Winter 2003, "Estate Planning for the Elderly-Consider Divorce?" -William Browning in Chicago Tribune: "Living trusts can mean a will isn't the only way"